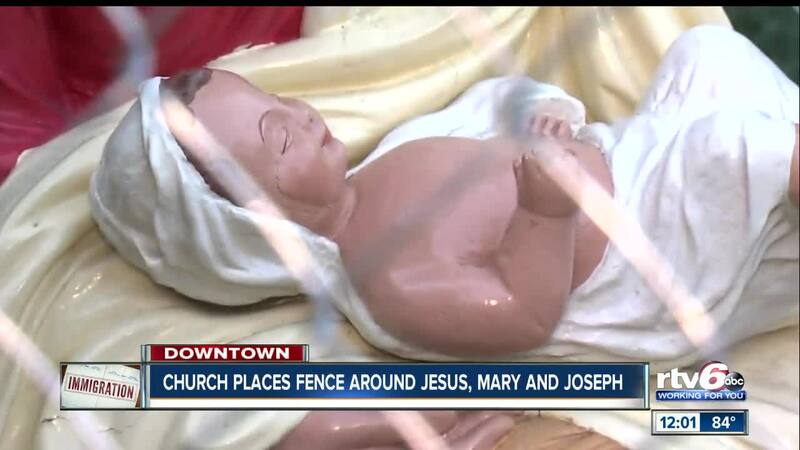 INDIANAPOLIS -- An Indianapolis church made a bold statement on a lawn near Monument Circle Tuesday morning, placing statues of Mary, Joseph, and Baby Jesus inside a fence to condemn the current immigration policies. 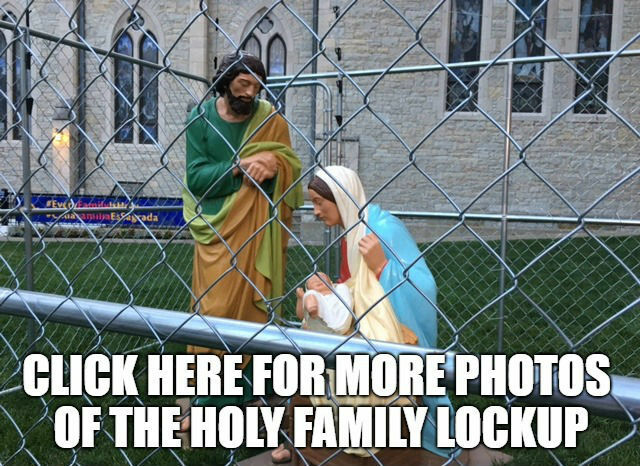 Christ Church Cathedral, also known as "The Church on the Circle," locked up Mary, Joseph, and Jesus as part of its Every Family is Holy campaign. 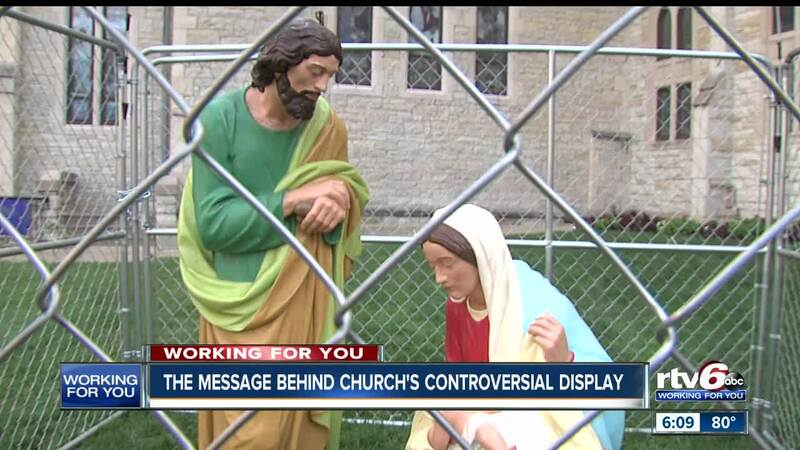 The church's dean, Steve Carlson, said the campaign is to bring awareness to and condemn the United States' zero-tolerance immigration policy. "They were a homeless family with nowhere to stay," Carlson said. "I think our faith tells us where we need to be. The fact that it's controversial isn't because I want to be controversial. What's controversial is that we're turning away from the values that should be guiding us. 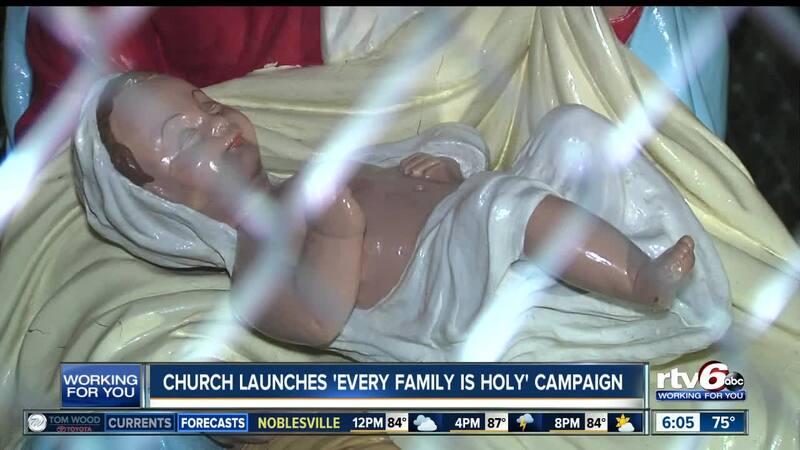 The point of a religious icon is to move our hearts. If at first, people are upset by it, that might just be God trying to move their hearts. I hope their hearts soften." The new policy of the Trump administration is not to separate families, but to detain them in immigration facilities, according to a Department of Justice announcement. 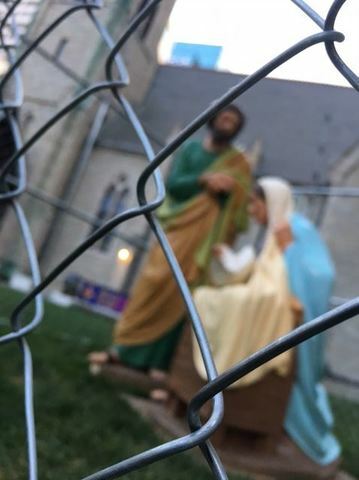 When asked how long the church would keep the fences up, Carlson said, "How long are we going to keep detaining families indefinitely?"